Whitney G. Saunders – Saunders & Ojeda, P.C. Whitney Saunders has practiced law in Suffolk since 1982. He is a lifelong resident of Suffolk whose practice focuses on commercial and residential real estate, business issues and trusts and estates. He represents property owners, developers, investors, businesses and lenders in land use matters before City and State Boards. Mr. Saunders also provides estate planning services which involves drafting of Wills, Trusts, Powers of Attorney and related documents. 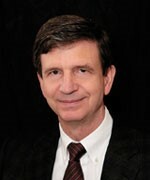 Having remained active in the community affairs throughout Hampton Roads, he has served as Chairman of the Board of Directors of Edmarc Hospice for Children, The YMCA of South Hampton Roads, the Planning Council, Nansemond Suffolk Academy, the Virginia State Bar Disciplinary Board and as a board member of numerous other organizations and foundations. Mr. Saunders received his education from Woodberry Forest School, Swarthmore College and the University of Virginia School Of Law. He is an active member of local and state bar associations and serves as Commissioner of Accounts for the City of Suffolk.